1st Auction – B’s or Future Strength? Nobody can give you advice after you’ve been collecting for a while. If you don’t enjoy making your own decisions, you’re never going to be much of a collector anyway. The first auction, Vintage Mattel M.U.S.C.L.E Muscle Men Action Figure Lot, might be the best example. I am a sucker for Future Strength figures. I can’t explain it. My best guess is a so-bad-its-good admiration, but it feels like more than that – who knows? I would bid the $7.95 if I needed those figures. I’m only interested in the Future Strength figures. I bet most other potential bidders think I’m missing the “best part” of the auction. They might believe the three Class B figures (Red #155, Magenta #40, and Green #108) are the best part. Neither belief is right or wrong. I like that. I think that’s how most long-term M.U.S.C.L.E. collectors see things. But it does hurts new collectors. It hurts the M.U.S.C.L.E. community by poisoning the waters instead of purifying them. 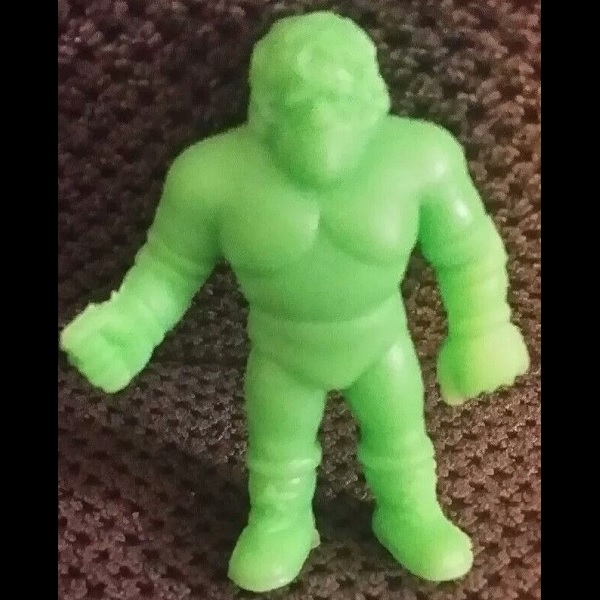 The second auction, “CLASS A” MUSCLE [green 041] M.U.S.C.L.E. 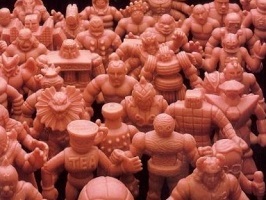 (Kinnikuman) rubber men/figures RARE!, is a result of the poison. A Green #41 is not a Class A figure. I laughed because the quotes were actually used correctly. Maybe we should be sympathetic to the seller? They probably copied it from somewhere. But where? 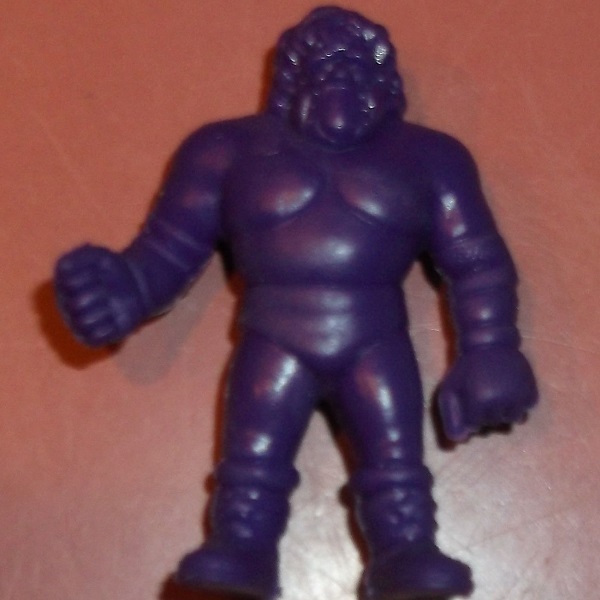 The third auction, “CLASS A” MUSCLE [purple 041] M.U.S.C.L.E. 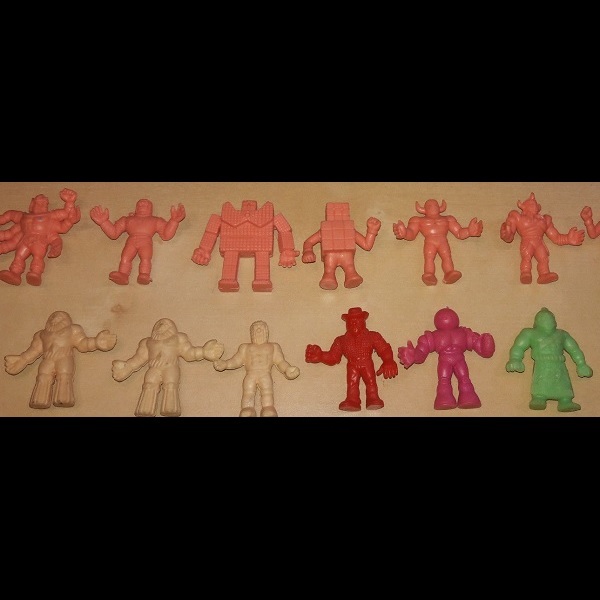 (Kinnikuman) rubber men/figures RARE!, sure looks to be the source of misinformation for our second seller. This seller is correct. The Purple #41 is a Class A figure. 3rd Auction – Purple #41 which is Class A, eh? However, it may be one of the least popular/valuable Class A figures ever. In a lot of unpopular Class A figures it sold for $2.47 – not even $1 per figure. That makes the $29.92 BIN seem pretty absurd. There’s the problem. As a hobby M.U.S.C.L.E. collecting can have lots of different perspectives and opinions. Sellers that spit in the face of knowledge and reason hurt the hobby. Of course, they don’t care about that. I hope M.U.S.C.L.E. collectors consider that before they deal with people that hurt hobby. Or not. It’s your decision. This entry was posted on Thursday, October 12th, 2017 and is filed under Auction Watch, UofM News. You can follow any responses to this entry through RSS 2.0. You can skip to the end and leave a response. Pinging is currently not allowed.